Since it was a road trip, my article will comprise more of the road traveling experience. Since we were to travel a road trip with our kids so we converted the back seats of our 7 seater vehicle to 2 compartments, one for each, of course, to avoid fights. Carry worksheets or simple board games or things of their interest to keep them busy. Although we have many food joints/hotels/tea stall en route but is recommended to carry some with u in need of an emergency. Study the route well in advance (which I didn’t), sometimes comes to the places which u have heard about but didn’t know that u will cross by. We departed Delhi at 4.30 am considering the fog at Expressway, but we were lucky we didn’t get any. We were at Agra at 7.30am. Expressway was expressway so we could cover our distance well in time, moreover, it has petrol bunks and public convenience as well. Reached Dholpur around 8.30am, it was a single road but since it was morning time so not much traffic. Jhansi at 12 noon. Shortly before Jhansi, it was Datia Fort and lake on our left. A very scenic place but we couldn’t stop as it came very suddenly. Since breakfast was packed from home and we thought of covering the first stretch at a go, so we didn’t stop much. 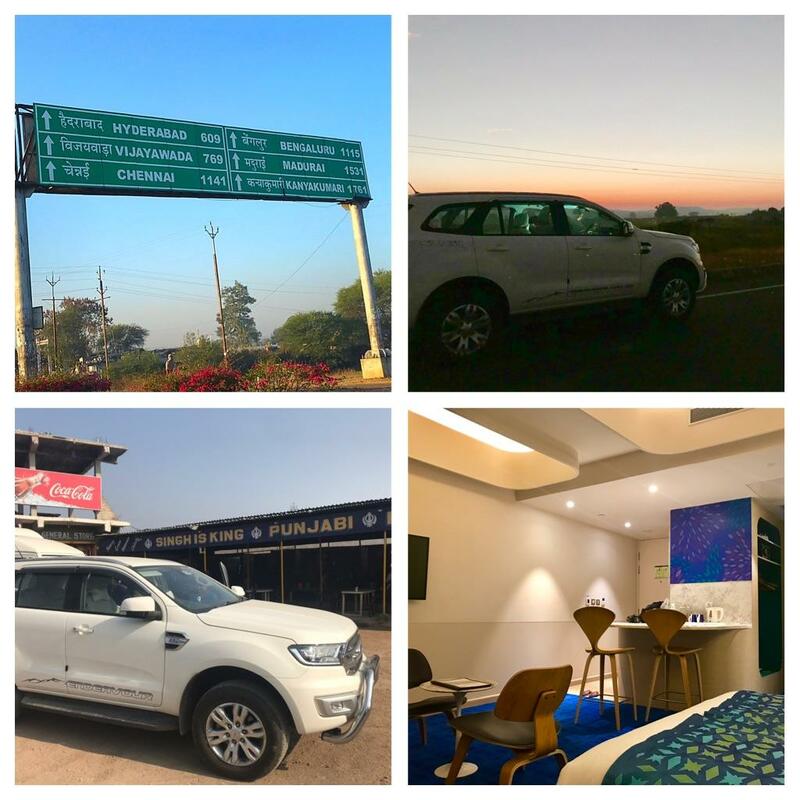 Our first stop was for tea at Gwalior bypass at “Rajkot Hill view Khana Khajana”. It was a perfect place for kids to play around for us to have a peaceful tea and of course the view. From Gwalior to Jhansi the roads were not at all good. Even people were driving on the wrong side, so we saw many accidents on that stretch. So our overall experience in MP as far as roads are concerned was not good because of the condition of the roads, we could not speed our vehicle because u never know what will come in front of you & from where. 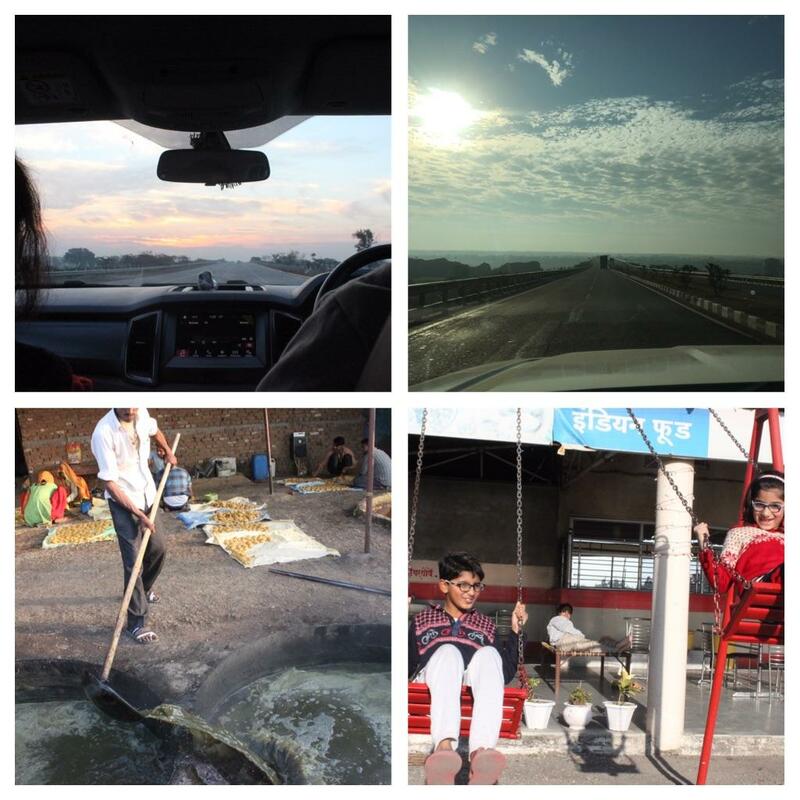 From Jhansi to Sagar it was a very smooth highway. We bypassed Sagar at 2.30pm, took a short lunch break there at “Hotel Jai Shree ram marriage garden” which had a dhaba as well. 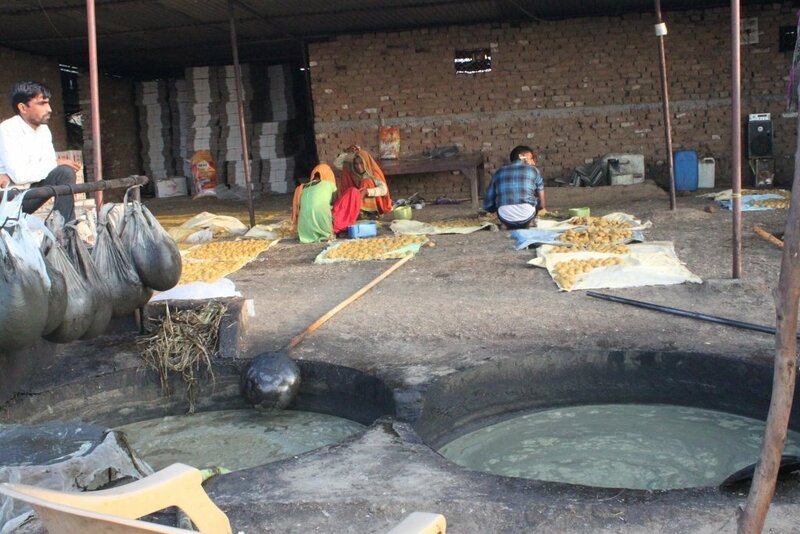 Our first-night halt was at Narsinghpur(820 km from our home covering Delhi, UP and now MP), There were many “Jaggery making units” before Narsinghpur. We stopped there to see how “Gur” got made. It was a learning experience for all of us. We also purchased some gur from there. Since Narsinghpur is a small town so not much options were there to stay, but we could get a decent accommodation (CM Residency). This is basically a banquet hall type with many rooms which generally people generally hire for party/functions. Although in a small town, the food they arranged for us and knowing that we are on a road trip to Kanyakumari they took utmost care. Since we were tired so we had our food and slept. Our day started again early morning as we started from Narsinghpur at 5.30am as we didn’t have any idea about the highway. Reached Seoni at 7.30am. 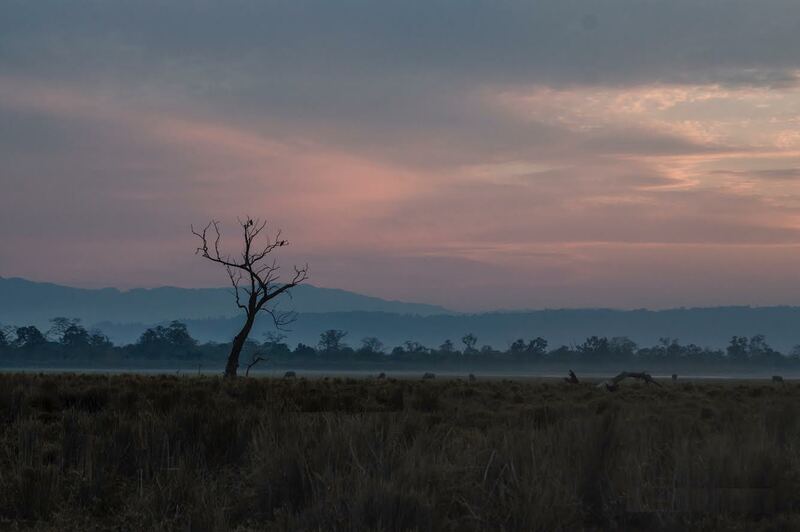 Immediately after “Seoni” we passed through “Pench National Park” and unfortunately I didn’t study much so it was a surprise for us also. 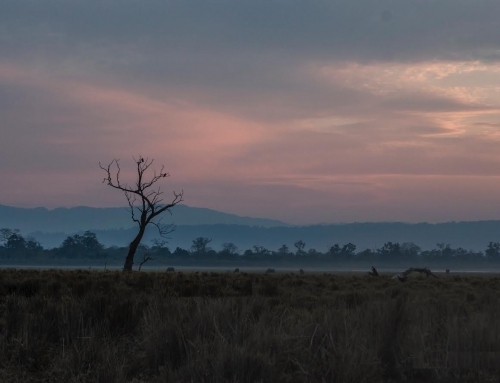 Pench is situated on MP- Maharashtra border. It was a single road but beautiful. As we entered Maharashtra, massive Roads & Flyover work was under construction so it took too much time. Nothing to eat, no public conveniences were available. We had to stop at a Temple to use public convenience. No food courts or for that matter small dhabas for something to eat. We thought we would get something around Nagpur but since we crossed Nagpur by a bypass around 9.45 am couldn’t get anything to eat. We satisfied our hunger pangs with biscuits packets and dry fruits which we generally carry with us. Around Nagpur, it was all cotton plantation. Reached Adilabad which is Maharashtra –Telangana border around 2 in the afternoon. Immediately after entering Telangana we stopped for lunch at “Singh is King Punjabi dhaba” because we were starving. At first, it looked as if it is only for truckers but we had to stop. Didn’t have any options but must say the way they have maintained a healthy environment and a separate area for families. It was excellent with good mouth-watering food, super strong tea(we had to drink 2 instead of 1) and local hospitality. It’s a must stop Dhaba for everyone. Telangana highway to Hyderabad was class and even public conveniences on the roadside. Our Hyderabad booking was not done as we didn’t had idea by what time will we reach but when Google showed that we will reach Hyderabad around 6.30 so we started looking for good options to stay and fortunately we got a very good deal from “Holiday Inn” which was in Hitech City( As Christmas/New Year times IT hub hotels offer great discounts). What else kids could ask for —luxury stay after 2 days on road. We decided to get the famous Hyderabadi biryani combo packed and enjoyed the Hyderabad delicacy in the comfort of the hotel. Hotel was all decorated with Christmas/ New Year theme so very comforting. A very simple day of all the days on the road. Amidst luxury, we started our day late in the morning around 10 AM after enjoying our breakfast. Headed for Charminar to have a look. 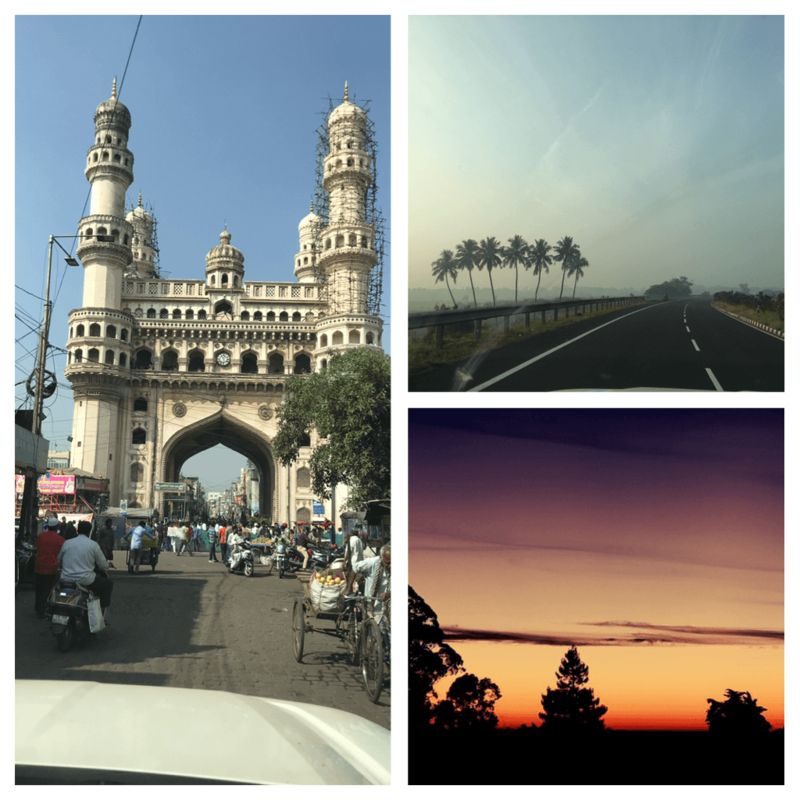 Since it was right in the center of the city it took time and being a holiday it was very crowded so after seeing Charminar from the road only we headed to Bangalore at around 11.30am. Hyderabad-Bangalore highway is very nice and good to drive. Commercially it’s a very busy highway so plenty of small hotels for a stopover. We stopped over for lunch at Kurnool at a small dhaba, the food was ok. And reached Anantpur around 4.30pm and Bangalore at 8. And took a 2-day stoppage at Bangalore being our alternate home. Since we have to reach Kanyakumari and head back the very next day we started at 3 am early in the morning. Till Krishnagiri the highway is super cool but from their onwards its single road so we could reach Dhanpuri by 5.30am. Stopped for a quick refreshing coffee break at Tastea, near Salem at 6.30 am. Early morning coffee with freshly made snacks was very refreshing. Salem to Madurai took us 3 hrs as the highway is huge but roads from Madurai to Sattur was not so good. Enroute came Sivakasi, the hub of Fireworks and Crackers. Stopped for late breakfast at Sarvan Bhavan 1.30 hrs before Kanyakumari. As we were moving on NH1 and finally towards Kanyakumari, the highway was becoming less swarming, only commercial traffic that too very less was there. 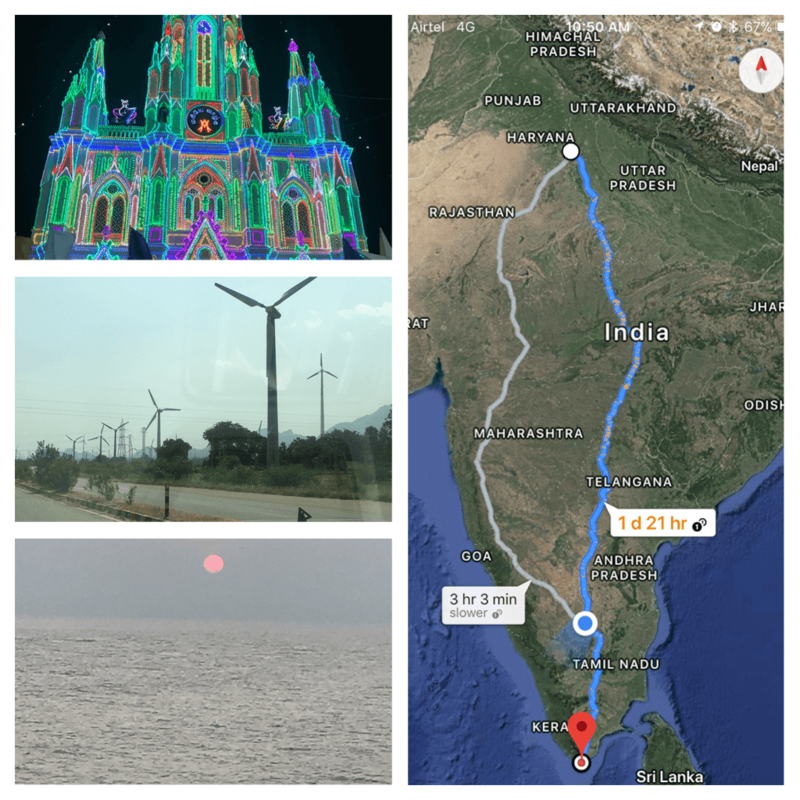 As we were reaching closer to Kanyakumari we were amazed to see thousands of windmills around us as if we have entered the forest of windmills, big and small, 2 finned, 3 finned and of different companies too. 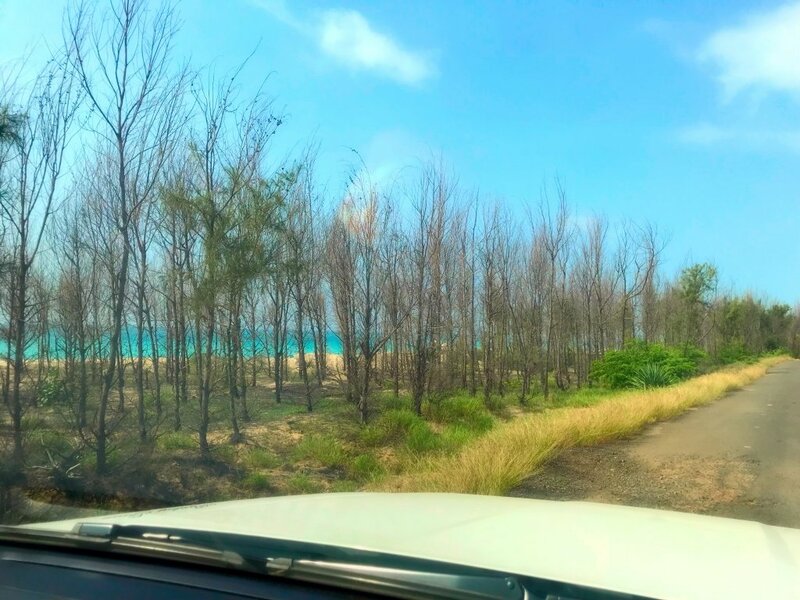 And finally, we almost reached Kanyakumari around 2.30 pm so before going to the hotel we just went to Vattakotai beach. It was a small beach alongside the village with no proper roads to reach, but the view was amazing. We could see hundreds of windmills along the coastline. We were refreshed to see the crystal clear water. 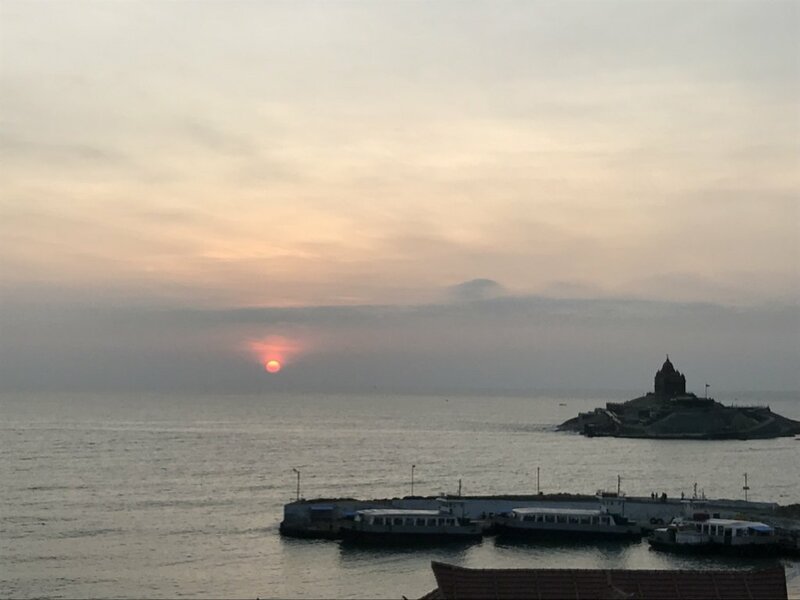 We stayed at Hotel Seaface, chose this hotel as Vivekananda Rock and Sea was visible from our hotel room. View and rooms were nice, but the staff support was OK. We visited Vivekananda rock at around 4 bcoz at 4.30 it gets closed. A ferry service takes us to and fro to Vivekananda Rock. 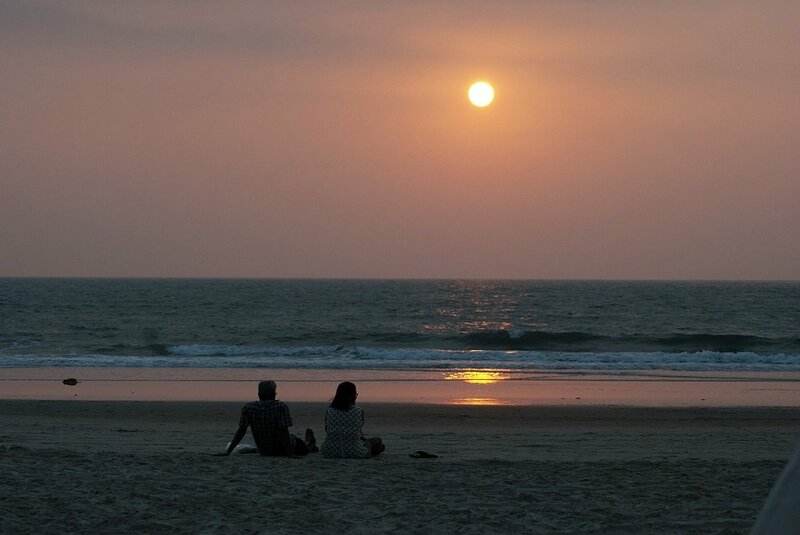 Then we visited Triveni Sangam where Bay of Bengal, Arabian Sea, and the Indian Ocean meet. Lots of local shops and eateries are available there. Then we went to view Point tower to have a better look at the last sunset of the year 2017. After sunset came to the seaside and stayed there till night. Before reaching the hotel we visited “Our Lady of Ransom Church”. I have never seen such a beautifully decorated church before. Kids around the area had decorated the area so well. All the decorations appeared so real. They were preparing for the midnight mass. A bright day, a happening year awaits us as we woke up to see the first sunrise of 2018, right from our rooms. After breakfast, we went to Chottavilai beach(20 km from Kanyakumari). It was calm, serene, scenic. Clearwater, glaring bright sun and secluded beach formed the deadliest combination. Kids enjoyed their sea bath and finally, around 11.30 am headed back to Bangalore. We planned our return where we thought that we will visit Meenakshi temple, Madurai enroute. Our known told us that it will not take more than an hour in Madurai, but little did we know that being a new year day, there will be huge lines. 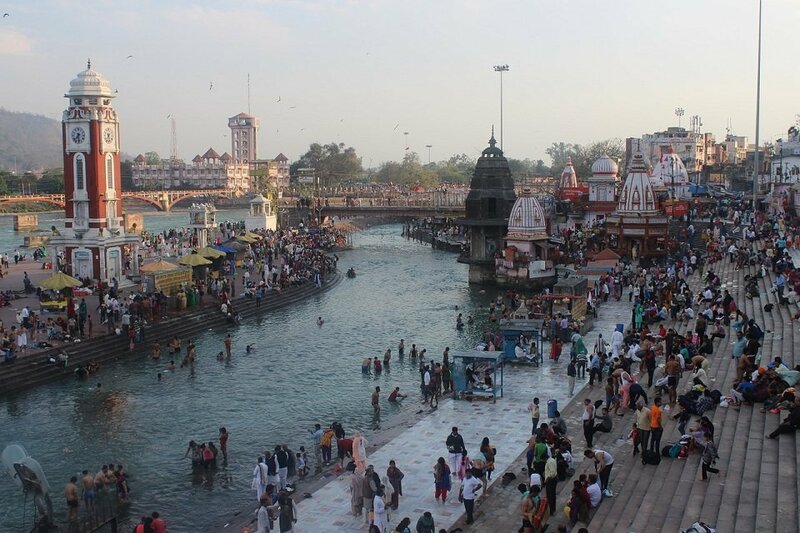 Even the special darshan ticket will take around 3 hrs. We stood in line for almost 2 hrs and entered the prangan but still, people told that it will take another 2 to 3 hrs. Since we have to reach back Bangalore so we pay our homage from there only and headed back. It was late and dark and all of us were so damn tired, we were happy as we accomplished our dream of a road trip from Delhi to Kanyakumari, we were sad as we couldn’t spend more time in Kanyakumari but that surely gives us the motivation to travel more and more. So to be very frank I even forgot to jot down any more details about the return, where did we had our dinner even. All I remember eating quick dinner at some small hotel. But we reached Bangalore at around 2 at night. There is no best time to live your dreams and so do the time to travel. But still, if you ask winters will be the best time to travel South. Just do it. Below is how our journey plan looks like! 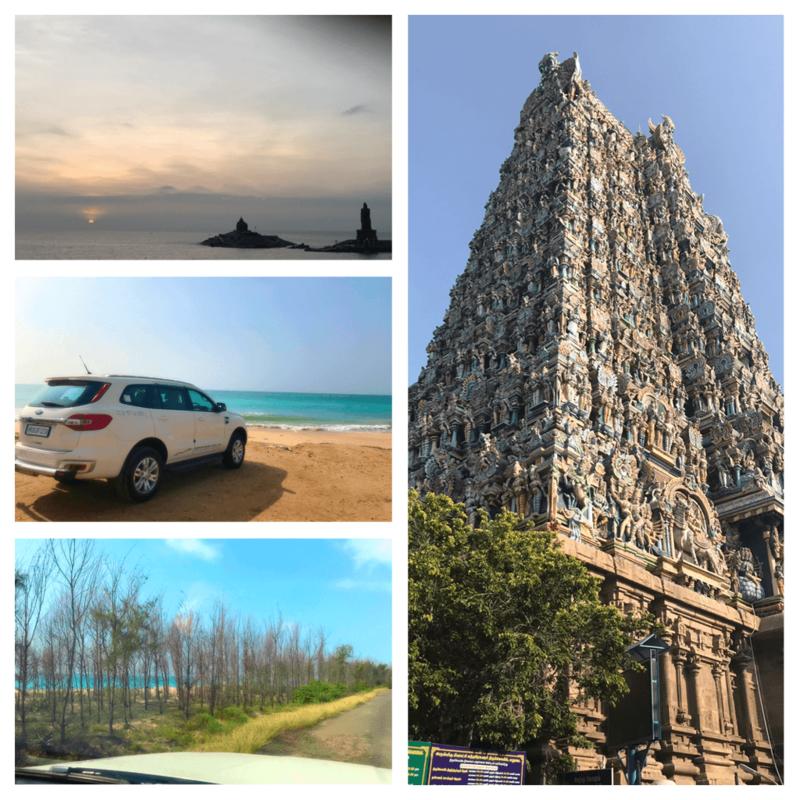 Dear readers, I hope the blog post entertained you on our mega road trip from Delhi to Kanyakumari. Do you still have a question? Feel free to comment or rate us by clicking the 5 stars. I am Shikha Gaur. Basically from Delhi, but recently moved to Bangalore. 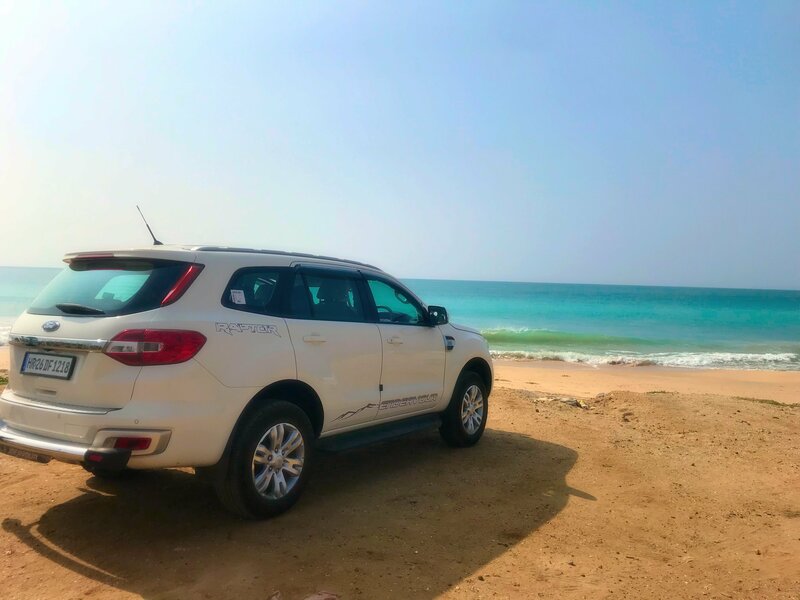 I and my husband loves to travel as I search and explore places and he has his passion for driving. Our travelling is supported by our 2 beautiful but naughty kids. Earlier I was working but presently a homemaker. Loves to take care of my home and family as no one else can do the way you can do it & loves to enjoy every movement of my life.